ICM - PIGPEN THEATRE CO.
PigPen Theatre Co. began creating their unique brand of music, film, and theatre as freshmen at the Carnegie Mellon School of Drama in 2007. 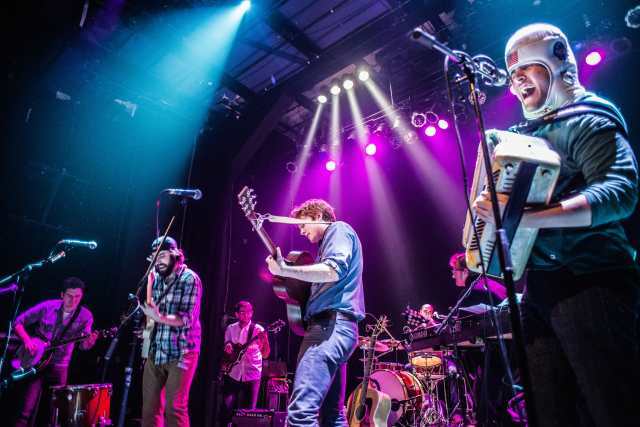 Their debut indie-folk album, “Bremen”, was named #10 album of the year in The Huffington Post’s 2012 Grammy preview. Their follow up EP, “The Way I’m Running”, was premiered by American Songwriter and released on October 8th, 2013. Their sophomore album is slated for release in the summer of 2015. They have produced their original theatrical productions Off-Broadway and have toured the country – earning them critic’s picks from The New York Times, Time Out New York, Chicago Tribune, Chicago Sun-Times, Boston Globe, and many more, ranking them in the top ten theatrical events of 2011, 2012, and 2013. 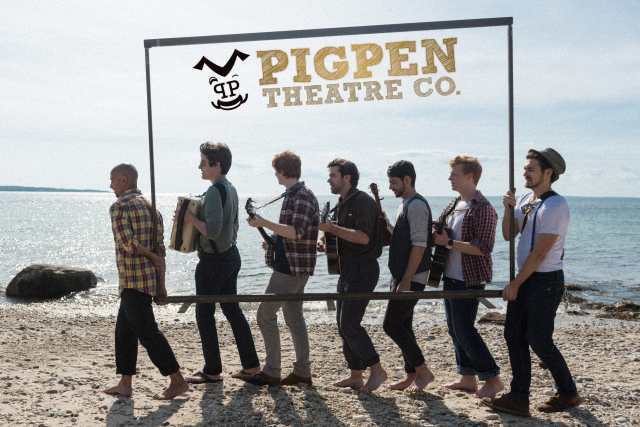 They were the first group to win the NYC Fringe Festival’s top honor for a play two years in a row (2010/11) and have gone on to win IRNE (2012) and Jeff Awards (2014) for their touring productions. PigPen is thrilled to be working with Writers House, one of the world’s leading young adult literary agencies, to develop their debut children’s novel. They will be on tour as a band in 2015.